Will we get the Galaxy Note 5 early? It won't come as much of a surprise that Samsung is planning to rejuvenate its Galaxy Note line-up with a new and improved Galaxy Note 5 this year, but rather than releasing it late August or early September at IFA 2015 like it has in the past, it could be pushing the phone out earlier. 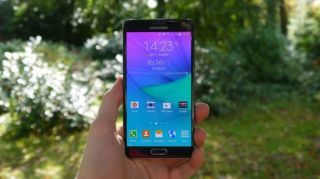 According to a report Samsung won't wait until the UnPacked event at IFA in Berlin, but will instead release the Galaxy Note 5 as early as the end of July. Samsung is apparently working hard on completing a prototype of the large screen device by mid June, and telecom companies are said to have been given the final specifications and seen the device in a bid to get them to make pre-orders for the end of July. Samsung scared of the 6S? The reason Samsung is apparently launching the Galaxy Note 5 earlier than IFA, which has seen the unveiling of every previous version of the Galaxy Note, is apparently because it wants to get a head start over Apple, which is rumoured to be releasing the iPhone 6S and iPhone 6S Plus later in the year. However, since we reported on the rumours, Samsung's Director of Mobile Products JK Shin has said the launch schedule for the Note 5 remains unchanged, insisting the company won't be affected by any Apple device launches. That would push it back to the autumn as originally planned, but we'll have to wait and see. None of this could be to coincide with the launch of Samsung Pay, could it?